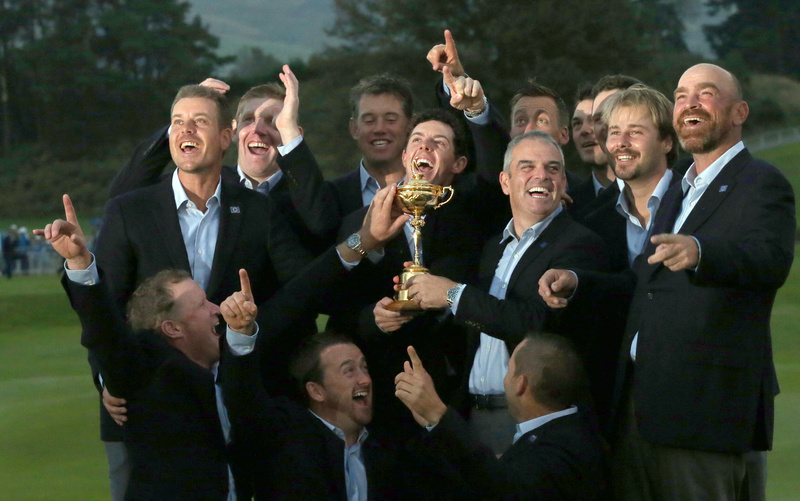 GLENEAGLES, Scotland – The tone was set by Rory McIlroy, the best player in the world. The winning shot came from Jamie Donaldson, a Ryder Cup rookie. McIlroy played some of his best golf this year – even for a guy who won the last two majors – by trouncing Rickie Fowler to put the first point on the board. Donaldson finished off the Americans with a 9-iron that settled 18 inches from the cup on the 15th hole at Gleneagles and set off the celebration. Not long after the closing ceremony, Phil Mickelson said the Americans have strayed from the winning formula at Valhalla in 2008 under Paul Azinger – their only victory in these matches dating to 1999. Mickelson spoke with U.S. captain Tom Watson sitting just six seats away from him. He effectively was calling out Watson’s leadership, which was more single-minded than Azinger in 2008. Azinger introduced a “pod” system at Valhalla. He broke the qualifiers into three groups, and let them choose who would be the captain’s pick for each pod. They ate together, stayed in the same groups, played together as teams and were next to each other in the lineups. “The bottom line is they kicked our butts,” Watson said. The PGA of America brought Watson back as captain – at age 65, the oldest in Ryder Cup history – hopeful he could repeat some history. Watson was the last captain in 1993 to win on European soil. Graeme McDowell rallied from 3 down after five holes to end his match against Jordan Spieth on the 17th. Justin Rose was 4 down after six when he won four straight holes with birdies against Hunter Mahan, and got up-and-down for birdie on the 18th to give Europe a half-point. That set the stage for Donaldson, a 38-year-old from Wales playing in his first Ryder Cup. He seized control over Keegan Bradley at the turn, and then it was a matter of when Europe could pop the champagne.